It’s too generic to be truly helpful, and yet can’t be specific because 1) they’ve (thankfully) chosen to be methodology agnostic and 2) there is no one-size-fits-all approach to change. It assumes the change you’re trying to implement is already known, and all you have to do is get people to do it. In my experience, what you initially think you’re changing and what really needs to change are often different, but you don’t really know that until you try to change it. Plus, involving people in the change definition stage can go a long way to getting it right, increasing ownership, and reducing resistance. It reads more like a project management standard with a people focus than a change management standard. Not all change initiatives are project oriented. It is lacking what ACMP itself has called the “X Factor” for change practitioners: Influence. It calls for elements like training and communication, but doesn’t describe how to figure out what that training and communication should be to bring about change. And it says nothing at all about how to personally influence leaders, sponsors, and others to do their part in the implementation. Despite The Standard’s flaws, I still believe it’s a good place to start for the profession. We needed to come together as a community of practitioners to identify what really works. Although The Standard isn’t there yet, at least we’ve started the conversation. While you may not plan and implement all the steps in the current document, they are at least good things to consider. Now we need to care enough to make it better. I understand why some change experts, whom I greatly respect, roll their eyes at the idea that change can be standardized, and don’t really want any part of it. By nature, change is more experiment than rigid process that can be planned ahead. And yet, I do believe it’s possible, and necessary, to simply and clarify what can be done to improve your chance of success. The Standard is a model, and like all models, it’s wrong yet can still be helpful. If ACMP had called it a Guideline, rather than “The Standard,” perhaps there would be less resistance to it by seasoned practitioners who know there is a lot of art and intuition involved. Rather than rail against an imperfect model, I’m choosing to influence change by actively participating and filling in the gaps. In the Fundamentals of Change Management workshop, Enclaria provides an option for training that includes all the things The Standard is missing, like clarifying the change, how to influence individuals and groups, and templates to make a generic approach specific to your change initiative. As an ACMP Qualified Education Provider™ course, the workshop also checks enough boxes to meet The Standard, without compromising on the flaws listed above. Since starting Enclaria seven years ago, I have been equipping individuals and teams – wherever they are in their organizations – to design and influence change. 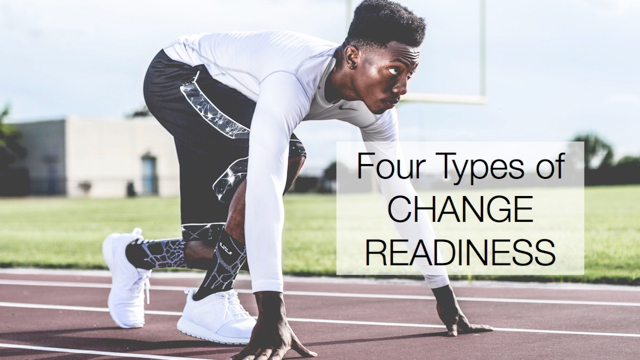 One way I’ve done this is by offering training that shares the methods, tools, templates, and examples that have helped my clients implement change at work. I’m excited to see the change management profession develop, and Enclaria will continue to be an active part of the story. Hi Heather. Great points. Besides lacking specifics, I also could’t see the rational behind the standards. How was it determined? What information (Change implementation experience?) was it used to determine the standard? Has it ever been achieved? The Standard for Change Management can be downloaded for free here: http://www.acmpglobal.org/?ACMPStandard (registration required).